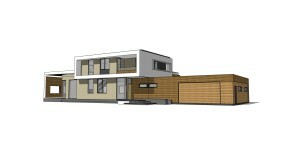 First Rendering of the Passive House Design Project! We are getting closer and closer to finalizing the design of the Passive House! Some adjustments to be made, but here’s a sneak peek..